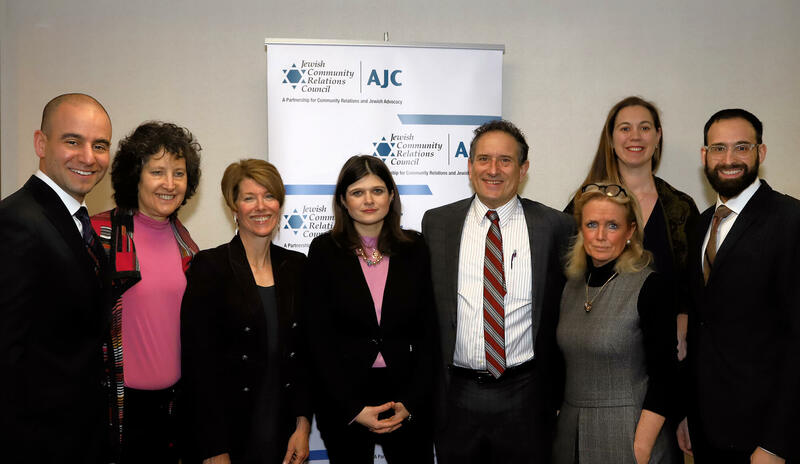 JCRC/AJC “builds a community of activists,” which includes Jewish and non-Jewish community members, leaders and organizations, by creating opportunities for hands-on social action. In the effort of “tikkun olam,” or “repairing the world,” JCRC/AJC coordinates a variety of activities including school beautification projects, participation before or during Bookstock – the largest used book and media sale, tutoring children as part of the Detroit Jewish Coalition for Literacy (DJCL) and, in partnership with the Jewish Federation, the annual Mitzvah Day initiative. All of these opportunities provide unique insight into the different needs of metropolitan Detroit’s diverse population. For information on potential volunteer opportunities email info@jcrc.org or call 248-642-5393. JCRC/AJC maintains a direct, on-going connection to public officials at the federal, state and local level, while remaining nonpartisan. Through meetings, targeted outreach and events, we strive to keep top decision-makers informed of important issues including Israel, immigration and gun violence prevention. These issues are developed through our board of directors, made up of a broad spectrum of individuals, other Jewish and non-Jewish organizations and national Jewish agencies such as the AJC and Jewish Council for Public Affairs. In addition, we often promote grassroots advocacy on key concerns, mobilizing Jews and non-Jews to action, often through broad-based coalitions we have created or joined. To learn the latest about important issues and how you can make a difference via our national partners, visit AJC’s Take Action page and JCPA’s News and Alerts. Approximately 38,000 people are killed by firearms in the United States each year. These deaths are caused by suicide and homicide, as well as by accident. According to the Centers for Disease Control and Prevention, in 2016, the firearm death rate was approximately 12 deaths per 100,000. That statistic exceeds many other nations and represents a national tragedy and serious public health issue. The Jewish value of pikuach nefesh teaches Jews that the preservation of human life is of supreme importance and overrides almost every other commandment in the Torah. Because of this, JCRC/AJC feels compelled to call on our leaders to take the necessary steps to reduce gun violence in the United States. Moreover, JCRC/AJC calls on our legislative and community leaders to engage in open and productive dialogue on this issue in order to craft a multi-faceted approach to eliminate gun violence in our nation.